Sun-Hee (Yum Jung-Ah) is a mother of two children. She works at a large discount retail store as a cashier. Hye-Mi (Moon Jung-Hee) is a single mother and a co-worker of Sun-Hee. Soon-Rye (Kim Young-Ae) works as a janitor at the same store. Dong-Joon (Kim Kang-Woo) is the only male member of the labor union at the discount store. Suddenly, contract workers are laid off at the store. The laid-off contract works stand up against their unfair dismissal. ‘Cart’ is product that draws out the story of the happenings of a single mom after she was laid off working in a megastore as a contract worker. 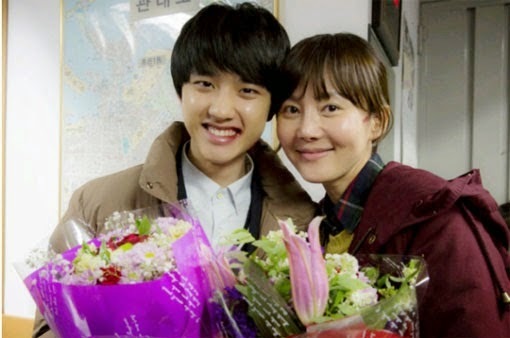 D.O will appear as the son of the Yeom Jungah who will play the female main character. D.O is the first member who has officially started acting amongst the EXO members. There have been members who have acted in music videos but there has not been a member who has acted in a drama. Meanwhile, D.O hurt his right ankle during a performance at the recently held ‘2013 MAMA.’ D.O, who has continuously been gaining treatment, is said to be starting filming soon. Filming begins at the end of December, 2013.